30 participants were engaged in a workshop on Saturday, 6 April geared to help improve judging competencies to adjudicate Traditional and Fancy Mas band costumes. The workshop, organised by the Spicemas Corporation (SMC) was held at the La Boucan Creative Centre, GCNA Complex on the Kirani James Boulevard. 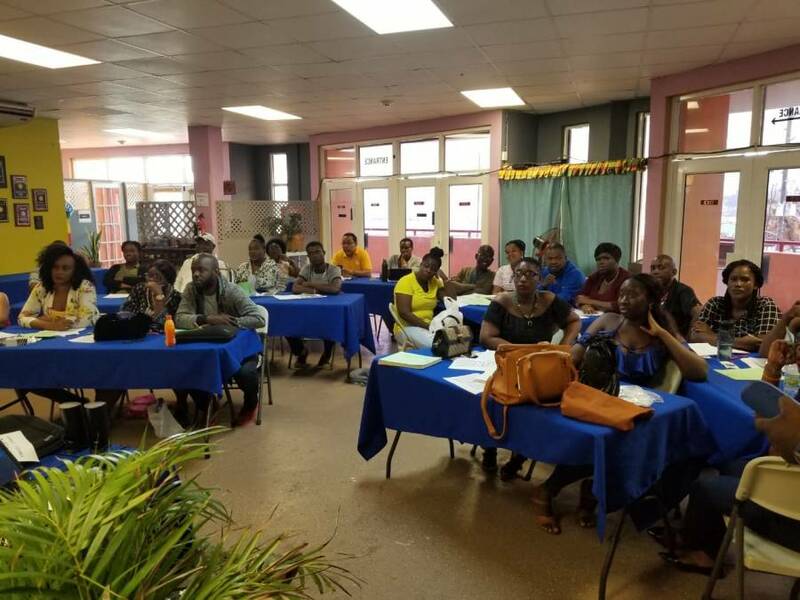 The workshop was part of activities leading up to Spicemas 2019 which is expected to be launched on 4 May 2019. Participants consisted of several longstanding judges, and quite a few first-time judges. Facilitator of the workshop Devon Francique said the workshop focused on a number of areas regarding the judging processes, rules and procedures and how they can be applied to the adjudication process. “We looked at Fancy Mas in its entirety; we looked at presentation, creativity, innovative skills on how to judge. With regard to King and Queen of the bands, we looked at the actual material used and how it balances with the light, colour, style. Francique reiterated the importance of properly preparing judges and how it is connected to the overall success of Carnival as they are expected to exhibit strong personal character, integrity, and skills in the adjudication process. He said the most important lesson he expects judges to take home is that not all creative costume pieces are a winner just from face value. “There is an old cliché that says not all that glitters is gold. We might see something that is fantastic in terms of a costume and so on, but you have to look at where it was built, how did the skill and imaginative thought come about and the balance of colour, and how that was conceptualised before actually giving it a win,” Francique said. The workshop facilitator used a number of teaching techniques, including questionnaires, games, quizzes, Powerpoint presentations and allowing the participants to judge actual costumes.